174. Charles Sidney MARFLEET  (Fanny Susanna Cotton FOX104, George Maples FOX63, George Morris FOX45, Frances MAPLES15, Susannah WILSON8, James WILSON II7, James WILSON I6, Edward WILSON5, Elizabeth COWPER4, Robert COWPER3, Joanna HUSKINGSON2, Johannes1) was born on 25 Nov 1880 in Lincoln Lincolnshire England and died after 1927 in England. • Birth: in Upper Lindum Street, 25 Nov 1880, Lincoln Lincolnshire England. Charles married UNKNOWN  [MRIN: 32004] in England. UNKNOWN  was born in England and died in England. 241 F i. Rita MARFLEET  was born in England and died before 1924 in England. 188. Edith Neville NEWTON  (Charlotte A Emily DARLOW110, Charlotte FOX64, George Morris FOX45, Frances MAPLES15, Susannah WILSON8, James WILSON II7, James WILSON I6, Edward WILSON5, Elizabeth COWPER4, Robert COWPER3, Joanna HUSKINGSON2, Johannes1) was born on 11 Jul 1884 in Winnipeg Manitoba Canada and died after 1933 in England. Edith married Harold Jenden HUNT  [MRIN: 32015], son of HUNT  and Mary Ellen , in 1906 in England. Harold was born circa 1883 in Aston Buckinghamshire England and died before 1933 in England. 242 M i. Reginald Neville Jenden HUNT  was born on 12 Sep 1908 in Lancaster Lancashire England and died in England. 243 F ii. Annie Frances Mary Eileen HUNT  was born in 1911 in England and died in England. Edith next married Jack DRAKE  [MRIN: 32017] in 1933 in England. Jack was born in England and died in England. 192. Robert Stewart RIDGLEY  (Clara Julia Minnie DARLOW112, Charlotte FOX64, George Morris FOX45, Frances MAPLES15, Susannah WILSON8, James WILSON II7, James WILSON I6, Edward WILSON5, Elizabeth COWPER4, Robert COWPER3, Joanna HUSKINGSON2, Johannes1) was born on 23 Sep 1895 in England and died in England. Robert married Gertrude CORNISH  [MRIN: 32019] in England. Gertrude was born in England and died in England. 213. Irene Deans WEBSTER  (Mary Edith Laura TAYLOR151, Basil Kirke TAYLOR93, Mary Caroline FOX50, Frances MAPLES15, Susannah WILSON8, James WILSON II7, James WILSON I6, Edward WILSON5, Elizabeth COWPER4, Robert COWPER3, Joanna HUSKINGSON2, Johannes1) was born on 9 Apr 1889 in Patea Taranaki New Zealand and died on 6 Oct 1976 in Wellington Wellington New Zealand at age 87. General Notes: In 1913 she married William Gray YOUNG, an Architect who worked in Wellington. He designed the Wellington Railway Station. They had two girls, Barbara & Elizabeth. Can't find their births 1913-18. They lived at Lowry Bay, and I remembervisiting them there. 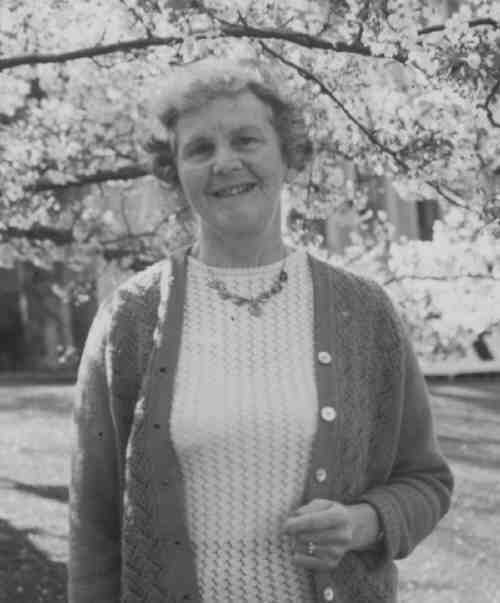 Her death in 1976 in Wellington is under Irene Deans 'GRAY YOUNG'. Irene married William Grey YOUNG  [MRIN: 4791] in 1913 in New Zealand. William was born in 1885 in Omaru Otago New Zealand. + 245 F i. Barbara Diana Grey YOUNG  was born about 1914. 214. Basil Ramsay WEBSTER  (Mary Edith Laura TAYLOR151, Basil Kirke TAYLOR93, Mary Caroline FOX50, Frances MAPLES15, Susannah WILSON8, James WILSON II7, James WILSON I6, Edward WILSON5, Elizabeth COWPER4, Robert COWPER3, Joanna HUSKINGSON2, Johannes1) was born on 16 Mar 1894 in Patea Taranaki New Zealand. Basil married Maud Wilkinson HASTE  [MRIN: 4792] in 1922 in New Zealand. Maud was born about 1900. 215. Ian Tylee WEBSTER  (Mary Edith Laura TAYLOR151, Basil Kirke TAYLOR93, Mary Caroline FOX50, Frances MAPLES15, Susannah WILSON8, James WILSON II7, James WILSON I6, Edward WILSON5, Elizabeth COWPER4, Robert COWPER3, Joanna HUSKINGSON2, Johannes1) was born on 12 Jan 1896 in Wanganui New Zealand and died in 1956 in Napier Hawke's Bay New Zealand at age 60. General Notes: Attended Terrace School, Wellington College & Nelson College. Entered the service of the Bank of N.S.W. in Wanganui. Joined the 1st NZEF serving with the N.Z. Artillery in France. On his return to NZ, he served with the bank in Geraldine, Patea & Bulls. 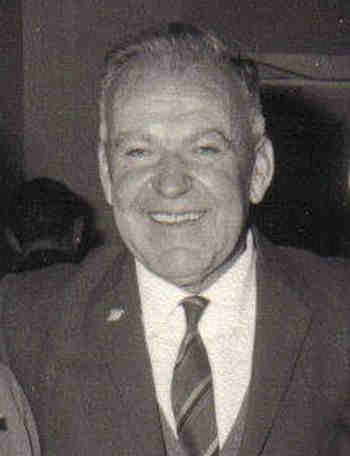 Served for a short time in Australia and held appointments as manager at Kaponga, Rotorua and Napier from 1946. Manager of the Napier branch of the Bank of New South Wales. Ian married Mary Eveline STERICKER  [MRIN: 4793] on 23 Apr 1924 in New Zealand. Mary was born in 1896 in Auckland Auckland New Zealand. 248 M i. Alexander Peebles WEBSTER  was born on 13 Jan 1927 in Patea Taranaki New Zealand, died in May 1971 in Auckland Auckland New Zealand at age 44, and was buried on 2 Jun 1971 in Purewa Crematorium Auckland New Zealand. 216. Ruhi Freda WEBSTER  (Mary Edith Laura TAYLOR151, Basil Kirke TAYLOR93, Mary Caroline FOX50, Frances MAPLES15, Susannah WILSON8, James WILSON II7, James WILSON I6, Edward WILSON5, Elizabeth COWPER4, Robert COWPER3, Joanna HUSKINGSON2, Johannes1) was born on 24 Nov 1899 in Palmerston North Manawatu New Zealand and died on 16 Dec 1986 in Wellington Wellington New Zealand at age 87. Ruhi married Alister YOUNG  [MRIN: 4794]. 217. Ronald Hoani Alexander WEBSTER  (Mary Edith Laura TAYLOR151, Basil Kirke TAYLOR93, Mary Caroline FOX50, Frances MAPLES15, Susannah WILSON8, James WILSON II7, James WILSON I6, Edward WILSON5, Elizabeth COWPER4, Robert COWPER3, Joanna HUSKINGSON2, Johannes1) was born on 10 Mar 1902 in Wellington Wellington New Zealand and died on 28 Aug 1969 in Wellington Wellington New Zealand at age 67. Ronald married Gwynedd Mary Isobel BEVAN  [MRIN: 4795] on 26 Nov 1930 in Wellington Wellington New Zealand. Gwynedd was born on 15 May 1908 in Wellington Wellington New Zealand and died on 27 Dec 1996 in Upper Hutt Wellington New Zealand at age 88. 218. Marjorie Alice Stovin TAYLOR  (Herbert Richard Stovin TAYLOR153, Basil Kirke TAYLOR93, Mary Caroline FOX50, Frances MAPLES15, Susannah WILSON8, James WILSON II7, James WILSON I6, Edward WILSON5, Elizabeth COWPER4, Robert COWPER3, Joanna HUSKINGSON2, Johannes1) was born on 20 Sep 1900 in Wanganui Taranaki New Zealand, died on 15 Feb 1977 in New Plymouth Taranaki New Zealand at age 76, and was buried on 18 Feb 1977 in Awanui Cemetery New Plymouth Taranaki New Zealand. Marjorie married James Augustus NICHOLLS  [MRIN: 216], son of James Clement NICHOLLS  and Helen Maude Mary BISHOP , on 15 Nov 1928 in Wanganui New Zealand. James was born on 5 Jan 1902 in Eketahuna New Zealand, died on 6 May 1987 in Timaru Canterbury New Zealand at age 85, and was buried in Awanui Cemetery New Plymouth Taranaki New Zealand. Elizabeth married Johannes Hendricus MARECHAL  [MRIN: 230], son of Unknown and Unknown,. 261 M v. Anthony Herbert Fife NICHOLLS  was born on 5 Jan 1938 in Wanganui New Zealand, died on 7 Feb 1998 in Timaru Canterbury New Zealand at age 60, and was buried on 15 Apr 1998 in Awanui Crematorium New Plymouth Taranaki New Zealand. 219. Dr. Richard Morris Stovin TAYLOR  (Herbert Richard Stovin TAYLOR153, Basil Kirke TAYLOR93, Mary Caroline FOX50, Frances MAPLES15, Susannah WILSON8, James WILSON II7, James WILSON I6, Edward WILSON5, Elizabeth COWPER4, Robert COWPER3, Joanna HUSKINGSON2, Johannes1) was born on 16 Sep 1903 in Wanganui New Zealand, died on 30 Aug 1992 in Auckland Auckland New Zealand at age 88, and was buried in Puhunui Road Crematorium Papatoetoe New Zealand. General Notes: Dr Morris TAYLOR B.D.S, D.D.S. Otago. A Wanganui man who was the first scientist to call the Piltdown Man a fraud. Richard Morris Stovin TAYLOR, who was born in Wanganui and educated at Collegiate School, was known affectionately as "Doc" by hundreds of dental nurses, colleagues and children. Dr Taylor began his career with the school dental service. 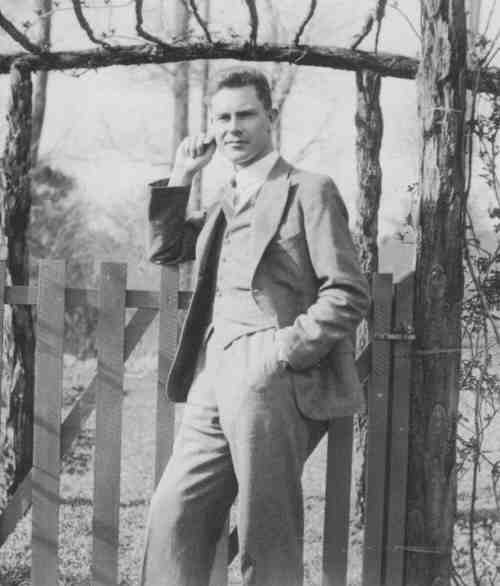 During this period, from 1930-1948, he became the Health Dept's principal dental officer as well as the "colonial upstart" who challenged the British scientific community over the Piltdown Man. This was a supposedly ancient skull found in a gravel pit on Piltdown Common, Sussex, England, in 1912. It was claimed to be the missing link between man and ape. In 1937, Dr Taylor told a group of scientists in Auckland that the dental arrangement of the skull could never have existed. He declared the Piltdown Man a hoax. It was to be 16 years before British scientists with the help of carbon dating echoed his hitherto ignored finding. In 1935 he married Irene Bel RHODES (Rene), and they had 2 children, Diana & Michael (adopted). Lived at 84 Kolmar Rd, Papatoetoe, Auck. Richard Morris Stovin TAYLOR Noted in NZ Gazette 1921, Public Servant of Wanganui - Public Service Examination p.2088. - Auckland Archives. Dr Taylor's close friend of 44 years, Newton Wickham, the Dental Association's welfare officer, said there had been a long campaign to have Dr Taylor knighted. After running a dental practice at Papatoetoe, Auckland, for 16 years, Dr Taylor became an honorary research associate at Auckland University's zoology dept, and from 1979 was a visiting researcher at the school of medicine anatomy dept at the University. In 1980 he was awarded a doctorate in science at Auckland University. 8 years later he became the first dentist to be awarded the Royal Society's Marsden Medal. Loved cats; had a lovely sense of humour, and had an early type phonograph with big speaker. Wrote 'Look & See Through' which was published not long before his death. Sylvia Robertson (niece) did the typing up of the manuscript. Died in 1992 in Auckland. Richard married Irene Bel RHODES  [MRIN: 1080], daughter of James RHODES  and Bel Bronson NEWSAM , on 2 Jan 1935 in Eskdale Napier Hawke's Bay New Zealand. Irene was born on 27 May 1903 in Cape Town Western Cape South Africa, died on 11 Jul 1988 in Auckland Auckland New Zealand at age 85, and was buried in Puhunui Road Crematorium Papatoetoe New Zealand. 220. Herbert Winston Stovin TAYLOR  (Herbert Richard Stovin TAYLOR153, Basil Kirke TAYLOR93, Mary Caroline FOX50, Frances MAPLES15, Susannah WILSON8, James WILSON II7, James WILSON I6, Edward WILSON5, Elizabeth COWPER4, Robert COWPER3, Joanna HUSKINGSON2, Johannes1) was born on 24 Jul 1907 in "Coveney" Wanganui New Zealand, died on 8 Apr 1993 in Matamata Waikato New Zealand at age 85, and was buried on 12 Apr 1993 in Matamata Cemetery Matamata Waikato New Zealand. The cause of his death was Aortic aneurysm. Another name for Herbert was Winston. Herbert married Edith Muriel BISHOP  [MRIN: 194], daughter of John Clunie BISHOP  and Edith Mary DAVEY , on 12 Oct 1937 in All Saints Church Wanganui East New Zealand. Edith was born on 25 Sep 1908 in Wellington Wellington New Zealand, was baptised in Oct 1908 in Catholic Apostolic Church Wellington NewZealand, died on 5 Dec 2000 in Matamata Waikato New Zealand at age 92, and was buried on 12 Dec 2000 in Matamata Waikato New Zealand. Another name for Edith was Peggy. + 265 F ii. Helen Rosalyn TAYLOR  was born on 22 Jun 1942 in Wellington Wellington New Zealand and died on 10 Apr 2010 at age 67. 267 F iv. Mary Gwendolen TAYLOR  was born on 16 Aug 1946 in Wellington Wellington New Zealand, died on 7 Apr 2001 in Oamaru Otago New Zealand at age 54, and was buried on 11 Apr 2001 in Oamaru Otago New Zealand. Mary married Rev. James David CAMERON  [MRIN: 992], son of Henry Charles CAMERON  and Caroline STRINGER , on 11 Feb 1967 in St Luke's Waiwhetu Lower Hutt New Zealand. James was born on 20 Aug 1942 in Oamaru Otago New Zealand, died on 2 Aug 2004 in Steamboat Springs Colorado USA at age 61, and was buried on 16 Aug 2004 in Oamaru New Zealand. The cause of his death was Motor Cycle Accident. 222. Nancy Ethelred TAYLOR  (Basil Maples TAYLOR156, Basil Kirke TAYLOR93, Mary Caroline FOX50, Frances MAPLES15, Susannah WILSON8, James WILSON II7, James WILSON I6, Edward WILSON5, Elizabeth COWPER4, Robert COWPER3, Joanna HUSKINGSON2, Johannes1) was born on 13 Dec 1906. General Notes: Born in Wanganui. Learned the piano; played the organ for church services in the Wanganui East church. She also took singing lessons from Madam Winnie Fraser. After the family moved to Nelson in 1927, Nancy developed her other artistic talents while studying at the Nelson Technical College. She painted and made enamelware and pewterware. She was awarded a Lohse scholarship to attend the Canterbury University School of Art in Christchurch. Nancy met and in 1932 married Osmond Arthur Bridgewater, a Christchurch sharebroker. They built a home at the bottom of the Cashmere Hills. Their son, John Osmond, was born there in 1935. In newspaper article on wedding in 1932, various aunts of the bride & groom are mentioned plus other family members. The Bridegewater family moved to Sydney shortly before the war of 1939, and they were later divorced. Nancy became engaged to Robin King, a grazier, and after marriage, livedon his property. Ando, Monaro, Bombala district, N.S.W. Nancy married Osmond Arthur BRIDGEWATER  [MRIN: 4796], son of A.J. BRIDGEWATER  and Unknown,. Nancy next married Robin KING  [MRIN: 4797] in 1953 in Australia. 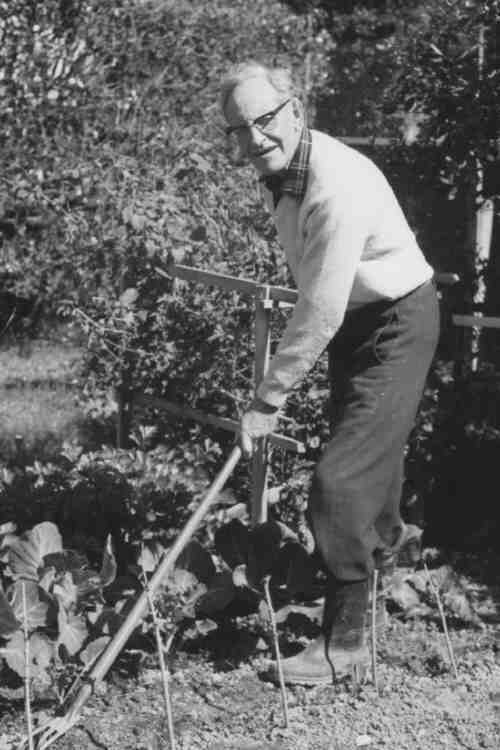 Robin was born in 1908 in New South Wales Australia and died in Aug 1998 in Australia at age 90. 223. Edith Gabriel TAYLOR  (Basil Maples TAYLOR156, Basil Kirke TAYLOR93, Mary Caroline FOX50, Frances MAPLES15, Susannah WILSON8, James WILSON II7, James WILSON I6, Edward WILSON5, Elizabeth COWPER4, Robert COWPER3, Joanna HUSKINGSON2, Johannes1) was born on 31 Aug 1912 in Wanganui New Zealand and died on 19 Jun 1971 in Christchurch Canterbury New Zealand at age 58. Another name for Edith was Gay. Gabriel was educated at Wanganui Girls College, and then Nelson College for Girls as a week day boarder. She also gained a Lohse Scholarship to attend the Canterbury University School of Art, and graduated from there with a Diploma of Fine Arts in 1935. Gay married Henry Frederick Thomson at All Saints Church, Sumner on 26March 1940. He was clergyman, and that year he was appointed Vicar of the Methven (Canterbury) Parish. Their 2 eldest children, Pauline and Handley, were born there. Harry was later appointed vicar of the Woolston Parish, in Christchurch,and was there for 11 years. He then accepted an appointment as General Secretary of the NZ Church Missionary Society, and during the 10 years of that appointment, the Thomsons lived in Bryndwr, Christchurch. Gay's last few months were spent in Diamond Harbour, Canterbury, their home following Harry's appointment as vicar of the Mt Herbert Parish. She died at Christchurch on 19 June 1971. Edith married Rev. Henry Frederick THOMSON  [MRIN: 4799] on 26 Mar 1940 in All Saints Church Sumner Christchurch Canterbury New Zealand. Henry was born on 16 Mar 1913 in Christchurch Canterbury New Zealand and died on 4 May 1987 in Sumner Christchurch Canterbury New Zealand at age 74. 224. Richard Basil TAYLOR  (Basil Maples TAYLOR156, Basil Kirke TAYLOR93, Mary Caroline FOX50, Frances MAPLES15, Susannah WILSON8, James WILSON II7, James WILSON I6, Edward WILSON5, Elizabeth COWPER4, Robert COWPER3, Joanna HUSKINGSON2, Johannes1) was born on 11 Apr 1920 in Wanganui New Zealand, died on 9 Mar 2000 in Rotorua Waikato New Zealand at age 79, and was buried in Rotorua Waikato New Zealand. General Notes: Born Wanganui 11 April 1920, married 1947 Jean Compson IKIN; two children- Commander Susan Jane MBE (born 1948), Richard Spencer (born 1951). NZ Embassy, Washington, DC 1947-48; private secretary to NZ High Commissioner, London 1949-53; Prime Minister's office, Wellington 1954-65; principal private secretary to Walter Nash 1958-69, to Keith Holyoake 1960-65; NZ Consul-General New York 1965-68; NZ High Commissioner Western Samoa 1968-71, concurrently High Commissioner to Tonga and Administrator Tokelau Islands; NZ Commissioner Hong Kong 1971-75, concurrently Ambassador to Philippines; NZ Ambassador to Thailand 1975-80, concurrently Ambassador to Laos and later Republic of Vietnam; NZ representative SEATO Council, Bangkok 1975-77, Member Board of Trustees, Asian Institute of Technology, Bangkok 1975-80. Military service in Territorials 5 Battery NZ Artillery 1940-41, 2NZEF Pacific 1942-45 as Lieutenant. Secretary-treasurer Grey Power Rotorua 1984, member Aged Distribution Committee Lottery Grants Board 1991- . Awarded Queen's Coronation Medal 1953.
Leisure: golf, classical music, gardening. Address - 45 Lewis Road, Lynmore, Rotorua. Died 9 March 2000 in Rotorua. Isobel, Helen & Sylvia attended the funeral with Ted & Diana Dunn. Richard married Mabel Jean Compson IKIN  [MRIN: 4800], daughter of Walter Tanner IKIN  and Stella DAW . 227. Ernest Onslow BARTON  (Margaret Eleanor Dawson HARPER160, Laura TAYLOR94, Mary Caroline FOX50, Frances MAPLES15, Susannah WILSON8, James WILSON II7, James WILSON I6, Edward WILSON5, Elizabeth COWPER4, Robert COWPER3, Joanna HUSKINGSON2, Johannes1) was born on 11 Dec 1888 in Feilding Manawatu New Zealand and died on 10 Oct 1983 in Rangiora Christchurch Canterbury New Zealand at age 94. Ernest married Fredrika Doris WHITCOMBE  [MRIN: 4802], daughter of William WHITCOMBE  and Myra HASTE , in 1920 in Christchurch Canterbury New Zealand. Fredrika was born on 6 Oct 1894 in Christchurch Canterbury New Zealand and died on 26 Aug 1965 in Christchurch Canterbury New Zealand at age 70. General Notes: Will filed 17 Sept. 1965 in Christchurch Ct - Schoolmistress. Probate No. 1190/65 - Christchurch Archives. 231. Horace Emslie Seymour HARPER  (Thomas HARPER161, Laura TAYLOR94, Mary Caroline FOX50, Frances MAPLES15, Susannah WILSON8, James WILSON II7, James WILSON I6, Edward WILSON5, Elizabeth COWPER4, Robert COWPER3, Joanna HUSKINGSON2, Johannes1) was born on 16 Oct 1894 in Wanganui New Zealand, died in Feb 1930 in Waipukurau Hawke's Bay New Zealand at age 35, and was buried on 15 Feb 1930 in Aramoho Cemetery Wanganui New Zealand. Horace married Ruth Mary ATCHISON  [MRIN: 4804] on 15 Oct 1919 in New Zealand. Ruth was born in 1890 in Buller Nelson New Zealand, died in 1980 in Palmerston North Manawatu New Zealand at age 90, and was buried on 2 Jul 1980 in Aramoho Cemetery Wanganui New Zealand. 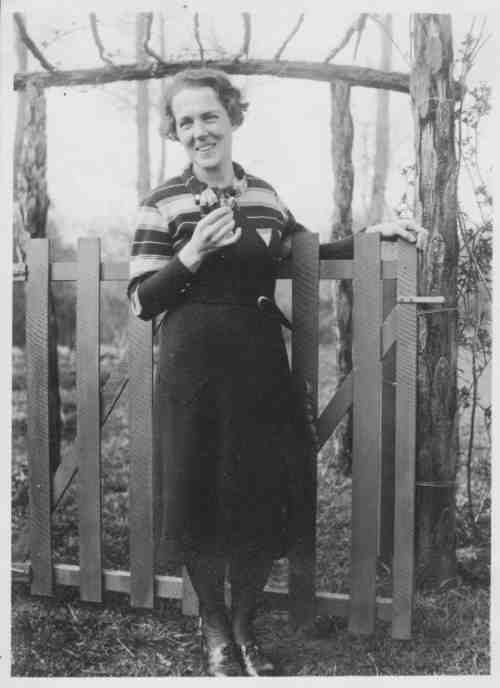 276 F i. Mary Elizabeth HARPER  was born on 24 Jan 1920 in Ashhurst Wairarapa New Zealand. The cause of her death was car accident. Mary married Ernest John VELVIN  [MRIN: 4805]. Margaret married Andrew Neil CAMPBELL  [MRIN: 4806]. 232. Dorothy Laura Margaret HARPER  (Thomas HARPER161, Laura TAYLOR94, Mary Caroline FOX50, Frances MAPLES15, Susannah WILSON8, James WILSON II7, James WILSON I6, Edward WILSON5, Elizabeth COWPER4, Robert COWPER3, Joanna HUSKINGSON2, Johannes1) was born on 7 Oct 1896 in Wanganui New Zealand, died on 22 Nov 1964 in Wairarapa New Zealand at age 68, and was buried on 24 Nov 1964 in Waipukurau Cemetery Waipukurau Hawke's Bay New Zealand.  Dorothy married Geoffrey George Melbourne WHITE  [MRIN: 4807] on 23 Apr 1924 in New Zealand. Geoffrey was born on 15 Jan 1895 in Porangahau Hawke's Bay New Zealand, died on 13 Jan 1973 in Waipukurau Hawke's Bay New Zealand at age 77, and was buried on 15 Jan 1973 in Waipukurau Cemetery Waipukurau Hawke's Bay New Zealand. 233. Robert Taylor Baden-Powell HARPER  (Thomas HARPER161, Laura TAYLOR94, Mary Caroline FOX50, Frances MAPLES15, Susannah WILSON8, James WILSON II7, James WILSON I6, Edward WILSON5, Elizabeth COWPER4, Robert COWPER3, Joanna HUSKINGSON2, Johannes1) was born on 13 May 1900 in Wanganui New Zealand, died in 1957 in Palmerston North Manawatu New Zealand at age 57, and was buried on 18 Jul 1957 in Aramoho Cemetery Wanganui New Zealand. Robert married Doris Esther BREWER  [MRIN: 4808] about 1925. Doris was born in 1904 in Port Chalmers Canterbury New Zealand and died in 1994 at age 90. 281 F i. Janice Yvonne HARPER  was born on 19 Apr 1927, died in Apr 1965 in Palmerston North Manawatu New Zealand at age 38, and was buried on 29 Jun 1965 in Aramoho Cemetery Wanganui New Zealand. 234. John Selwyn MEDLEY  (Capt. John Spencer Selwyn MEDLEY164, Mary Catherine TAYLOR95, Mary Caroline FOX50, Frances MAPLES15, Susannah WILSON8, James WILSON II7, James WILSON I6, Edward WILSON5, Elizabeth COWPER4, Robert COWPER3, Joanna HUSKINGSON2, Johannes1) was born on 7 Dec 1908 in New Plymouth Taranaki New Zealand, was baptised on 20 Jan 1909 in St Mary's New Plymouth Taranaki New Zealand, died on 27 Jul 1988 in New Plymouth Taranaki New Zealand at age 79, and was buried on 29 Jul 1988 in New Plymouth Crematorium Taranaki New Zealand. Another name for John was Jack. Educated: New Plymouth Boys' High School. Jack was a fast left winger and nicknamed "Hurricane"; as a school boy at NPBHS he held the long jump record. He played Table Tennis at Kawaroa with his sisters. In his early years he represented Taranaki rugby at the senior level as well as participating in athletics and cricket.Medley went on to become a qualified electrician. He served in WWII from 1939 to 1942: Regt. No. 4147 Lt. in the 19th Battalion in Egypt, where he was badly wounded by shrapnel and was sent home in 1942. 03 Dec 1961 Medley was Godfather to Neil James Webster (born on this date), son of Nigel John Thomson Webster, his mother's cousin; and he engraved a christening cup 'N. J. Webster 3.12.1962'. Founder of 'Medley's Office Equipment' Company in New Plymouth after WWII, he sold the business in 1972. He was a well-known Taranaki businessman and an expert typewriter mechanic, and continued to work up until his wife died. 13 Oct 1973 Jack and Rene Medley attended the Taylor Family Reunion, the centennial commemoration of the death of (his Great-grandfather) Rev. Richard Taylor (1805-1873), at Whanganui. - Photograph: Cranleigh Harper Barton Collection, Whanganui Regional Museum.Involved with many organisations and services in the community, he became President of the New Plymouth Bridge Club and the New Plymouth Bowling Club, and was a keen golfer. He was also involved with the Returned Services Association. He was a homemaker, home-mender and exquisite gardener.The family residence was (bought c1946): 250 Courtenay Street, New Plymouth. John married Irene Dolores LARKIN  [MRIN: 4809], daughter of Herbert James LARKIN  and Irene Mary O'CONNOR , on 16 Dec 1939 in St Joseph's New Plymouth Taranaki New Zealand. Irene was born on 29 Mar 1912 in Wellington Wellington New Zealand, died on 4 Jan 1988 in New Plymouth Taranaki New Zealand at age 75, and was buried on 7 Jan 1988 in Awanui Cemetery New Plymouth Taranaki New Zealand. Another name for Irene was Rene. In 1925 with her parents and two brothers, the family moved from Wellington to New Plymouth, where Rene lived for the rest of her life. 'Taranaki's first Government Tourist Bureau Travel Booking Agent since 1st Apr 1956, Rene Medley retired on 9th Oct 1981. Medley's Tourist Agency' began in a corner of her husband's business before moving to the New Plymouth Opera House, later sharing premises with a florist in Liardet Street. 16 months before her retirement Medley's transferred to the Newton King Real Estate office. The agency booked travel solely within New Zealand, and Irene Medley looked after the travel plans of several New Plymouth secondary schools, the Taranaki Polytechnic and the Central Districts cricket team, amongst others. She knew little of the South Island until she was given a party of American tourists to lead there. With her retirement, Taranaki lost its only Government tourist agency, as there were now so many independent travel agents in New Zealand that when a Government agent retired, the agency was lapsed. Source: 'Agency Lapsed With Retirement' - Taranaki Herald 9 Oct 1981. Mrs Irene Medley pictured as hundreds of travellers were used to seeing her, at the desk of Medley's Tourist Agency, Taranaki's only Government Tourist Agency, in New Plymouth.Rene was secretary of the New Plymouth Girls' High School Old Girls' Association from 1933-8 and later from 1961-8 she served on the Parent-Teacher Association committee, when her three daughters were attending.She travelled to Edinburgh for her daughter Elizabeth's wedding in 1973, and to Japan to visit her brother Tom Larkin, New Zealand's Ambassador (197?-? ).Irene was associated with a wide variety of committees, a philanthropist with the Soroptimists, a member of the Ironside Vehicle committee, and a front player at the New Plymouth Contract Bridge Club. She served on the New Plymouth Japan Society Committee, and had a wide circle of friends. Rene had skill and confidence with figures, abundant commonsense, and willingness to go the extra yard. She was a loving mother who invested her household with a sense of warmth and plenty. • Death: at Taranake Base Hospital, 4 Jan 1988, New Plymouth Taranaki New Zealand. + 282 M i. Thomas Spencer John MEDLEY M.A. was born on 9 Aug 1943 in New Plymouth Taranaki New Zealand, was baptised on 17 Oct 1943 in St Joseph's New Plymouth Taranaki New Zealand, died on 22 Aug 2009 in Newtown Wellington Wellington New Zealand at age 66, and was buried on 24 Aug 2009 in Karori Crematorium Karori Wellington New Zealand..
+ 283 M ii. John Webster MEDLEY V.B.A. 236. Jean Mary MEDLEY  (Capt. John Spencer Selwyn MEDLEY164, Mary Catherine TAYLOR95, Mary Caroline FOX50, Frances MAPLES15, Susannah WILSON8, James WILSON II7, James WILSON I6, Edward WILSON5, Elizabeth COWPER4, Robert COWPER3, Joanna HUSKINGSON2, Johannes1) was born on 16 Nov 1914 in New Plymouth Taranaki New Zealand, was baptised on 20 Jan 1915 in St Mary's New Plymouth Taranaki New Zealand, died on 28 May 2011 in Rotarua Bay of Plenty New Zealand at age 96, and was buried on 1 Jun 2011 in Rotarua Bay of Plenty New Zealand. • Death: peadefully in her Sleep at her Home, 309A Vaughan Road, 28 May 2011, Rotarua Bay of Plenty New Zealand. Jean married Francis MacFarlane PHILLIPS  [MRIN: 4811], son of Samuel Holmes PHILLIPS  and Jane Elizabeth McFARLANE , on 4 Feb 1939 in St Mary's New Plymouth Taranaki New Zealand. Francis was born on 16 May 1911 in Epsom Auckland Auckland New Zealand, died on 3 Dec 1988 in Rotorua Waikato New Zealand at age 77, and was buried on 6 Dec 1988 in Rotarua Bay of Plenty New Zealand. Another name for Francis was Frank. • Death: suddenly in his Arm Chair in his Home at 15 Phillips Street, 13 Dec 1988, Rotarua Bay of Plenty New Zealand. 238. Robert Duffus McFARLAND  (Frances Maria Duffus TAYLOR166, Robert Cecil TAYLOR96, Mary Caroline FOX50, Frances MAPLES15, Susannah WILSON8, James WILSON II7, James WILSON I6, Edward WILSON5, Elizabeth COWPER4, Robert COWPER3, Joanna HUSKINGSON2, Johannes1) was born on 27 Feb 1893 in Auckland Auckland New Zealand and died in Jul 1945 in Hamilton Waikato New Zealand at age 52. He married 2. Dorothy Alice WILSON in 1929. They had 2 children. Robert married Leslie Litchfield HUNT  [MRIN: 4812] in 1920 in New Zealand. Leslie died in Jan 1923 in Hamilton Waikato New Zealand. Robert next married Dorothy Alice WILSON  [MRIN: 4813].